After perhaps the most impressive online poker run of all-time, Isildur1 –rumored to be Swedish pro Viktor Blom—has returned to earth. Actually, returned is a bit of understatement: Isildur1 has crashed to earth. The poker world is now waiting to see if the Swede has enough bankroll, and emotional control, to continue challenging the best players in the world day-after-day, or if he will drop back down in limits having learned a very important lesson, or if he will simply disappear from the poker scene altogether. It would be a testament to his mental toughness to see Isildur1 drop down in limits and work his way back up –even if up stops short of the nosebleeds– after being up $6 million and then losing it all back plus some, nobody would fault the youngster if he was burnt out on poker: Which is why most of the poker community is assuming he will continue to play the high-stakes games until he goes broke. 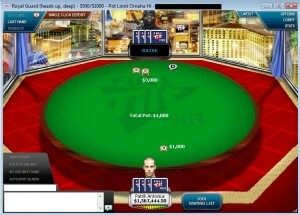 Whatever happens, online poker will never forget the waning months of 2009, when an unknown player won and then lost millions, and set the online poker forums ablaze with speculation. This entry was posted on Wednesday, December 2nd, 2009 at 7:53 pm and is filed under Poker News. You can follow any responses to this entry through the RSS 2.0 feed. You can leave a response, or trackback from your own site.